Book of Ra Deluxe ? Novomatic's Book of Ra has 5 reels and 10 variable paylines. Book of Ra Deluxe by Novomatic is a very popular game that you can find online, based on an Egyptian theme. This 5-reel slot has 10 variable paylines and some pretty compelling features, including free spins with an expanding bonus symbol. You'll also note that there are some improvements made relative to the original Book of Ra Classic. For example, the Deluxe version has more paylines added and a more modern look when it comes to the graphics. Visit ancient Egypt and search for treasures in this lost temple! Egyptian themes are very popular with many players and the developer supports the game with some very attractive graphics. 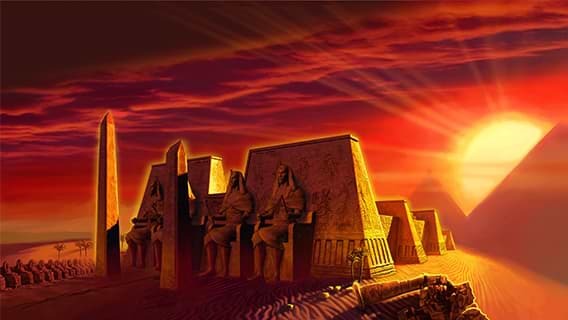 These include the background image of the pyramids and a lovely sunset. The higher-paying symbols illustrate an adventurer reminiscent of Indiana Jones, the famous book of Ra, the mask of the Egyptian pharaoh Tutankhamun, a statue and a scarab beetle. There are also the familiar playing card symbols for the lower-paying end. The game itself does not have any special music accompanying it, but when the reels are spinning you will hear a familiar slot machine sound that you would find in a land-based casino. The Book of Ra is the wild symbol which substitutes for all other symbols to create winning combinations. It is also the scatter symbol which will trigger 10 free spins in sets of three. Sets of three scatters in any position will also reward you with a cash win. 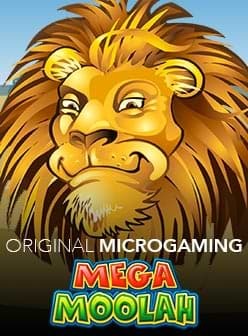 There are wild symbols and free spins with a special expandable symbol. Before the start of the free spins, a random symbol will be selected, which then becomes an expanding symbol for the duration of the feature. In any round of the free spins, winnings from payline(s) will first be paid and if the randomly selected special symbol also appears somewhere on the reels, then it can randomly expand to cover an entire reel. This creates a chance at another payout. The symbol does not have to appear on a payline since it will instead payout as if it were a scatter. If you're prepared to take a risk then you can also use your round winnings and try to double it. This game is called the card gamble feature, and to win you simply need to predict the next card colour. You can play the card gamble game several times in a row, and it ends only when you predict incorrectly. 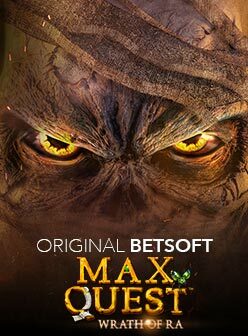 With a medium variance, the game offers good odds and lots of fun! The Book of Ra Deluxe slot has a medium to high variance and a theoretical return to player (RTP) of 95.1%. You can play the game with stakes of between €0.01 and €100. You can find the game at many casinos and there is no need to sign up if you want to try Book of Ra for free. 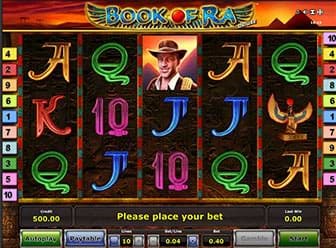 If you are prepared to try Book of Ra for free now, you can try the slot in one of our recommended casinos and test your luck in finding temple treasures.